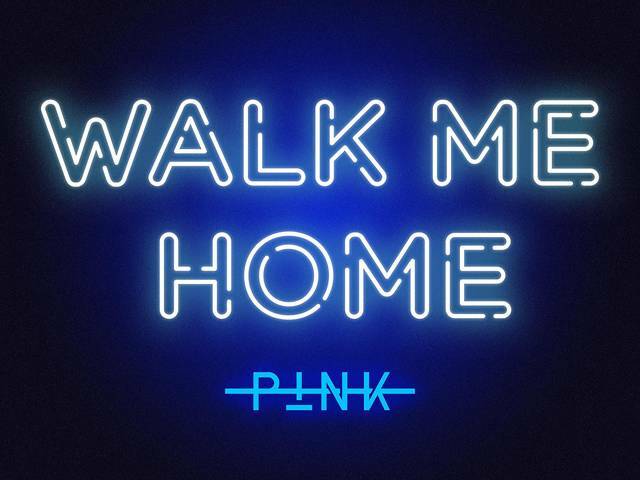 International pop icon P!NK releases her highly anticipated new single 'Walk Me Home' today via RCA Records through Sony Music Entertainment Australia. The anthemic new track was written by Nate Reuss, Scott Harris and P!NK and produced by Peter Thomas and Kyle Moorman. Listen to 'Walk Me Home' now! After incredible success and demand, P!NK is bringing her Beautiful Trauma World Tour back to North America starting on March 1st in Sunrise, Florida and ending with two nights at New York City's Madison Square Garden on May 21st and 22nd. The tour, which had an incredible 42 sold out shows across Australia & New Zealand last June – September, has already sold 3 million tickets worldwide and over 1 million tickets in North American alone. For show dates and more details on the tour please visit: https://www. pinkspage.com. Since her debut in 2000, P!NK has released 7 studio albums, 1 greatest hits album, sold over 60 million albums equivalents, over 75 million singles, over 2.4 million DVDs worldwide and has had 15 singles in the top 10 on the Billboard Hot 1 (four at #1). In Australia, P!NK has had 5 x ARIA #1 albums with sales in excess of 4.26 million units, 4 x #1 DVD's with her Australian concert DVD sales in excess of 1.17 million units. P!NK's 2013 record breaking The Truth About Love Australian tour captivated audiences during 46 spectacular sold-out shows, performing to more than 600,000 fans and smashing venue attendance records right across the country. In addition, she is the recipient of three Grammy Awards (twenty nominations), one Daytime Emmy Award, two Billboard Music Awards, seven MTV Music Awards (including the 2017 Vanguard Award recipient), two MTV Europe Awards, two People's Choice Awards, was named Billboard's Woman of the Year in 2013 and has sold out arenas all over the world. Her seventh studio album, Beautiful Trauma is certified 4 x platinum in Australia, debuted at #1 on the ARIA Album chart and #1 on Billboard's 200 chart, marked a career high for first week sales and re-entered the chart at #2 months after release. The album received two Grammy nominations for Best Pop Solo Performance ('What About Us') and Best Pop Vocal Album.